JetBrains has released a major update to IntelliJ IDEA with a number of new features. IntelliJ IDEA is the company’s IDE for Java. 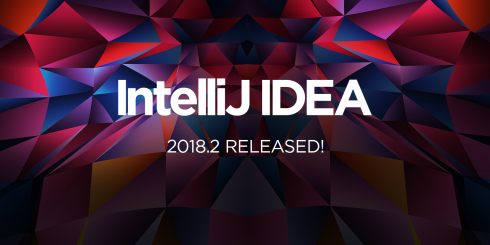 IntelliJ IDEA 2018.2 adds support for Java 11, which has not been released yet. “The next version of Java is due out in September, and IntelliJ IDEA 2018.2 is ready for it. The main code feature in Java 11 is Local-Variable Syntax for Lambda Parameters – Java 10 gave us the ability to use the var keyword for variables inside methods, now Java 11 lets us use this in lambda expressions,” the company wrote. It also now shows data flow information in the editor, shows type hints for long method chains in the IDE, and adds the ability to configure Quick Documentation to come up together with autocompletion. In addition, this release adds a preview panel for Extract Method that allows you to check the results of refactoring before changes are made. In the editor, updates include the ability to jump outside of a close bracket or quote, local variables and parameters that have been reassigned are now underlined by default, and ‘for’ or ‘while’ keywords are highlighted when the carat is played on the corresponding ‘break’ or ‘continue’ keyword. To make IntelliJ IDEA more user-friendly, it added support for the MacBook Touch Bar, dark window headers, an updated IntelliJ theme on Linux, and new UI icons. The company also made updates to VCS, JVM debugger, Gradle, Maven, Configuration, Differences Viewer, Spring Boot, Spring Integration, Kotlin, Groovy, Scala plugin, and more. For a complete list of updates and new features, you can read the release notes here.